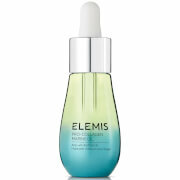 ELEMIS PRO-COLLAGEN MARINE OIL Anti-wrinkle face oil 15ml, a rich and replenishing anti-ageing facial oil. Formulated with a trio of seaweeds - Padina Pavonica, Golden Seaweed and Roaring Water Kelp, to deliver maximum hydration, whilst reducing the appearance of fine lines and wrinkles. White Poppy Seed Oil visible plumps the skin with moisture and leaves the complexion looking revitalised and radiant, improving skin’s overall texture and tone for a truly lifted and radiant visage. Active Ingredients: Seaweed Extract, White Poppy Seed Oil, Jojoba Seed Oil, Sunflower Seed Oil, Geranium Flower Oil. 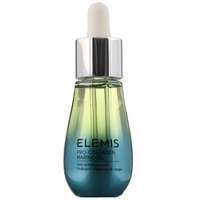 Elemis Anti-Ageing Pro-Collagen Marine Oil 15ml / 0.5 fl.oz. ELEMIS PRO-COLLAGEN MARINE OIL Anti-wrinkle face oil 15ml was found on 4 websites and was price compared using EAN: 0641628501625. The cheapest ELEMIS PRO-COLLAGEN MARINE OIL Anti-wrinkle face oil 15ml is shown as the main item, prices range from £42.05 to £65.00, excluding delivery. Price comparison based on price and delivery charges, with any valid discount codes being applied, is shown in the table above. Prices and information correct at the time of publication.